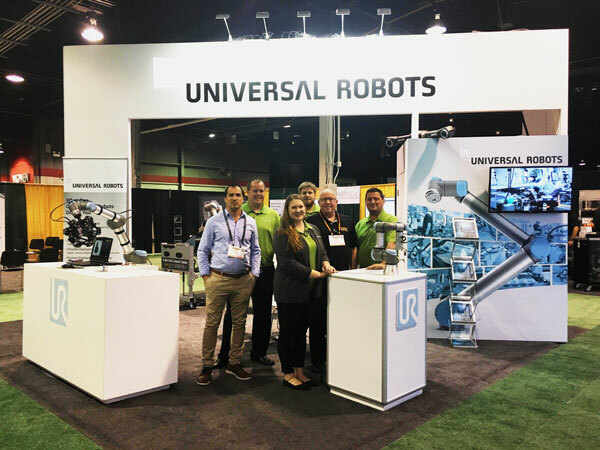 LTW Ergonomic Solutions attended The Assembly Show 2017 with the collaborative robot (or cobot) producer, Universal Robots. 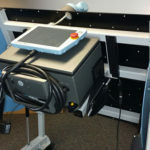 Here LTW showcased the first CoBase™ – a height adjustable table made just for Cobots. The CoBase™ is a brand new product by LTW to fill the automation industry demand for a cobot table. The first on the market, this CoBase™ features height adjustability – and a tilting tabletop – all to your specific needs. LTW president, John Lanphear, exhibited for the CoBase Tuesday and Wednesday. LTW ergo expert Todd filled in for the last day on Thursday. Did you talk to one of them at the show? Leave a message in the “Contact Us” form or on one of the linked social media pages below. They’d love to hear form you! 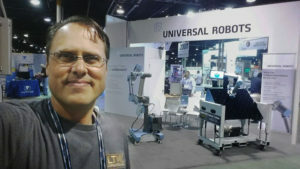 LTW’s presence at the show was beneficial to Universal Robots as well as to LTW! 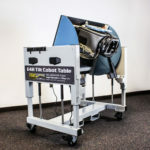 The CoBase™ completes any Cobot package. Without a CoBase, customers of Cobots must figure out on their own where to mount their purchases. Companies that work with LTW can now offer complete Cobot systems to their customers, without neglecting their major needs of places to put their Cobots. Image by Universal Robots. Todd from LTW second from right. LTW is excited watching the growth of the CoBase™, and invites you to be a part of the CoBase community! Tag your ergonomic solutions on social media with #GetYourErgonomicOn !